The Stafford Spiritualist Church was founded in 1992, by Minnie Ellis and Geraldine Madden. The church met in the Labour Conference Rooms on the Wolverhampton Road then later the church moved to Meryck Road, then again to the St John Ambulance Hall in Stafford. Attendance at the Sunday services soon began to rise and regularly attracted around fifty people and plans were then put in place to set up a spiritual healing group. On the 27th of November 1999 the church moved to the David Jones Centre, subsequently renamed The Arthur Findlay Centre and in January 2017 became known as The Barbanell Centre. 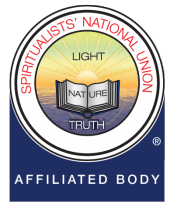 Stafford Spiritualist Church is affiliated to the Spiritualist National Union which promotes knowledge of the religion and philosophy of spiritualism. It unites Spiritualists throughout the world and supports 350 Churches in the United Kingdom. It is estimated that about 40,000 members of Churches attend spiritualist services every week. There are 29 Churches in the West Midlands which are listed on the SNU West Midlands website. By the study of Nature – that is, by trying to understand the Laws of Cause & Effect which govern all that is happening around us – we recognise that there is a creative force in the universe. This force, or energy, not only created the whole universe, but also life itself in its many forms and is continuing to create today. The effects of this eternal creation can be seen around us and this leads us to the evidence that ‘God’ – ‘The Creative Force’ – manifests directly, or indirectly, in all things. We know this power as God and as we are part of the Life created by God, we acknowledge God as our Father. This is the key Principle to our Religion. All religions believe in life after death but only Spiritualism shows that it is true by demonstrating that communication with departed spirits can and does take place. Spiritualist Churches provide one of the venues where communication, through mediumship, is possible and many loved relatives and friends take advantage of this opportunity to continue to take an interest in our welfare. There are also spirit people/teachers who are dedicated to the welfare and service of mankind. Some (e.g. Silver Birch) bring inspiration and teachings whilst others work within the healing ministry. As with all the other Principles, the natural laws apply and this one echoes the law of Cause and Effect (as you sow, so shall you reap). One cannot be cruel and vindictive towards others and expect love and popularity in return. It must be understood that the compensatory or retributive effects of this law operate now – on earth – they do not wait until we begin to live in the Spirit World. All who desire to tread the path that leads to perfection are able to pursue it. The rate of progress is directly proportional to the desire for mental and spiritual understanding. If we do our best in earth life to follow our inward prompting or intuitions; we shall find progress very easy, on earth as in spirit; if not, every step in advancement will follow a struggle against imperfections, which we ourselves will have worked into our natures. Within the Family of God, with all the advantages that our realization of that state can give us, we are all given the opportunity to be responsible for our own eternal progress.